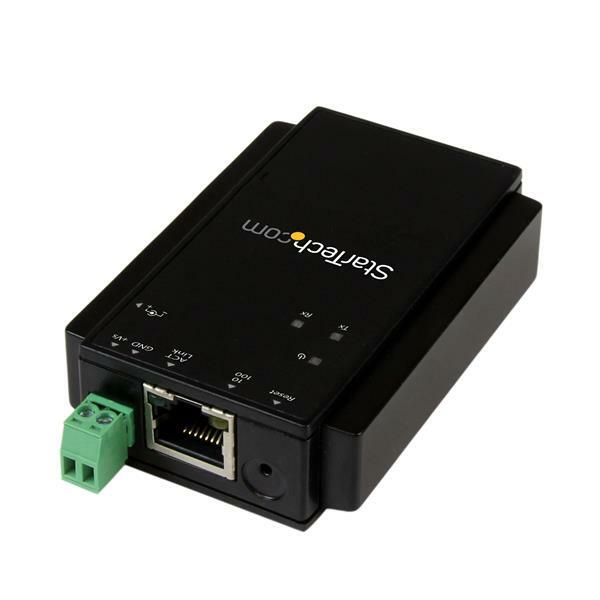 This 1-Port Serial Device Server lets you remotely access and manage an RS232 serial device over a local or wide area network (LAN/WAN), for a simple and cost-effective serial-over-IP control solution. 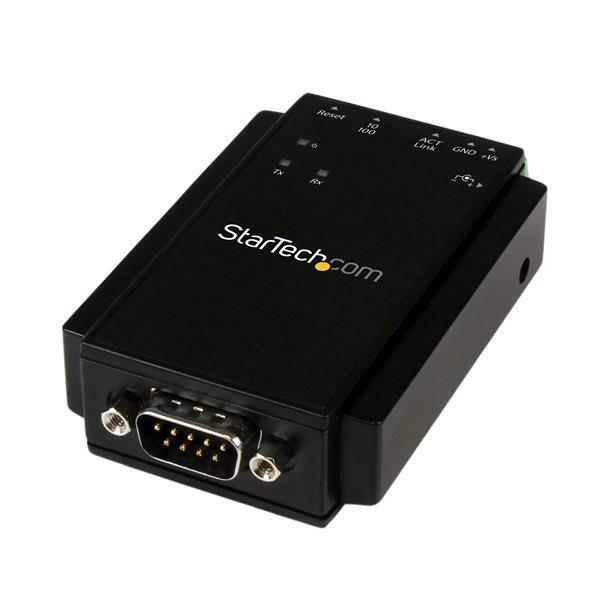 For more control options, the device server is compatible with the free, StarTech.com Serial Device Application Software NETRSAPP. When coupled with the NETRS232, this handy application for iOS, Android, and Chrome Browser lets you build a custom serial control interface that’s tailored to your specific application. For installation flexibility across a variety of environments, you can power the device server using the provided 12V DC power adapter, or using the integrated 10~30V DC terminal block. Plus, the device server is DIN rail mountable for out-of-the-way installations. To help ensure reliable performance and prevent possible damage, the serial device server offers 15KV ESD (Electrostatic Discharge) protection, so you can rest assured that the device server won’t become damaged due to externally generated ESD. This highly-customizable device server is easy to configure to suit your application. For easy setup, Windows users can use the provided Virtual COM port software, or the versatile web-based interface. The NETRS232 is backed by a StarTech.com 2-year warranty and free lifetime technical support. Linux: The included software does not support Linux to emulate a local COM port. Linux users would need to use Telnet. How do I use the VCOM software? VCOM is software provided to create a virtual serial port on your computer using the serial over IP. When you set it up properly, the network serial devices operate as though they are connected to a physical serial port. Before you continue, make sure that your computer can communicate with the network serial device over your network. For more information, refer to the following FAQ: www.startech.com/faq/serial_ip_networking_issues. Before you configure the VCOM software, make sure that you have downloaded and installed the latest software from the StarTech.com website. To download the driver, navigate to http://www.startech.com/Support and enter the part number. When you have configured your setup so the network serial device can be pinged on the same subnet as the computer, click Search in VCOM to use the software to detect the network serial device. If the network serial device is on a different network than your computer, you can click Search by IP and enter a range of IP addresses to search by. To configure each network serial device individually, select the device and click Configure. In Administrator, you can change the IP configuration of the unit. In UART, you can configure the serial port settings. Typically, you only modify these settings if the unit is going to be a serial client in an IP serial extender setup. In TCP, you can configure the client or server mode. For basic operation in VCOM, you need to set the serial device unit to Server. You do not need to configure anything to use the serial network device in UDP mode. Click COM Mapping > Add. Select the network serial device from the list. If necessary, change the COM number. The COM mapping should now appear in the list. For more information about how to verify the COM mapping in Windows, see the following FAQ: https://www.startech.com/support/faqs/technical-support?topic=serial#com-port-listing-windows. This device's default static IP address is 192.168.1.1. Make sure that the NETRS232 is on the same network as your computer. In the password field, enter the user name. The default user name is 00000.